Broad infrastructure assets enhance capability to help customers capture opportunities in Central Asia, Central and Eastern Europe, and "One Belt, One Road." 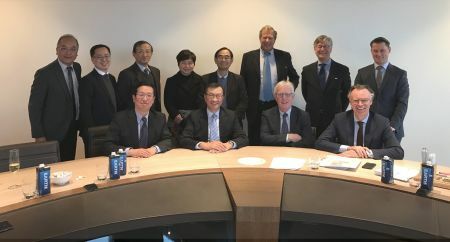 HONG KONG, Feb 2, 2017 - (ACN Newswire) - CITIC Telecom International CPC Limited ("CITIC Telecom CPC"), a wholly-owned subsidiary of CITIC Telecom International Holdings Limited ("CITIC Telecom") (SEHK: 1883) announced it has finalized the acquisition of the telecommunication business of Linx Telecommunications B.V. (Linx Telecommunications), following completion of all regulatory clearances. The acquisition further extends CITIC Telecom CPC's global infrastructure and points of presence to the Central Asia, Central and Eastern Europe markets, including regions encompassed by China's "One Belt, One Road" economic cooperation initiative. Mr. Xin Yue Jiang, Chairman of CITIC Telecom International Holdings Limited said: "One Belt One Road is an important part of our growth strategy. We believe Linx's acquisition is fully complementing CITIC Telecom's development strategy of 'keeping Mainland China as the foundation of our business, with Hong Kong and Macau serving as both base and springboard to accelerate our business expansion internationally and global network coverage'. The acquisition will help the Group become a leading ICT service provider to multinational companies and carriers beyond Asia Pacific." Dr. Tiger Lin, Executive Director and CEO of CITIC Telecom International Holdings Limited said, "Linx's acquisition is part of the Group's ongoing strategies. This is a quantum step to foster the Group's strategic transformation towards mobility and the Internet. It has a clear synergy with the Group's current business in terms of geographical coverage, customer base and service offerings, allowing our customers to enjoy ubiquitous ICT solutions globally. We will continue to look for these opportunities to drive long-term growth through expansion of core competence and geographical reach." The acquisition includes Linx's 470 kilometer submarine fiber network in the Baltic Sea, and its network operations centers (NOCs) in Moscow and Tallinn, Estonia. The acquisition also includes Linx's data center in Tallinn, which serves as Estonia's largest Internet Exchange (TLL-IX). These all cover high-growth potential markets including Russia, Eastern Europe, Central Asia, as well as Kazakhstan and others "Stan" region. Linx Telecommunications team members have also joined CITIC Telecom CPC as part of the acquisition, contributing their technical and Russian language proficiencies with local expertise toward expanding business in the regions. 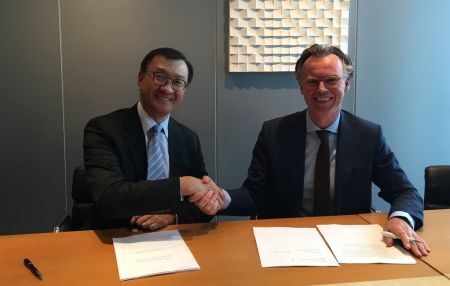 Mr. Stephen Ho, CEO of CITIC Telecom CPC said: "Completion of the acquisition of Linx's assets represents a significant milestone along the company's path to extending our network coverage through Central Asia and into Europe. The addition of Linx's professional talents, infrastructure, technology and expertise will position CITIC Telecom CPC as a leading ICT service provider to multinational and large companies worldwide. It continues our global footprint expansion, and enhances our full spectrum of managed networking services, cloud computing and other managed value-added data services to businesses around the world." CITIC Telecom CPC has worldwide network coverage in over 120 countries with more than 100 Points of Presence (POPs), covering the mainland China, Hong Kong, Taiwan, Japan, Vietnam, Singapore, Malaysia, Indonesia, Thailand, Sydney in Australia, London and Frankfurt in Europe, as well as Los Angeles and New York in the USA. Synergistically leverage the Linx acquisition, CITIC Telecom CPC can now better serve its customers in further 14 countries with 24 more POPs across Western Europe, Central and Eastern Europe, as well as Central Asia. This fundamentally boosts CITIC Telecom CPC's access to, and capability to realize, the promise of helping enterprise customers to capture opportunities arising from all these regions, including areas of the "One Belt, One Road" initiative. Added Mr. Ho: "With the addition of Linx to CITIC Telecom CPC's portfolio we look forward to serving our customers with greater capabilities and higher synergies, all beneficial to both their business needs and potential expansion plans. In the coming months, we will provide further updates regarding our leverage of the Linx assets, and offer more specific details about how they fit into CITIC Telecom CPC's direction and business strategies." CITIC Telecom CPC is especially enthusiastic about the opportunity to expand its services coverage to countries along the new "Silk Road Economic Belt", particularly those in the Baltic region, which will help enhance the company's status as a preferred partner by global and regional enterprise customers requiring seamless, high performance and secure network solutions to connect among their points of presence in Greater China, Asia Pacific, and other parts of the world. CITIC Telecom International CPC Limited ("CITIC Telecom CPC"), a wholly owned subsidiary of CITIC Telecom International Holdings Limited (SEHK: 1883), is a trusted Information and Communication Technology (ICT) solutions provider with multiple branches across Asia Pacific, and a preferred partner by multinational corporations and business enterprises. CITIC Telecom CPC delivers a range of innovative services, including: TrueCONNECT(TM) - an advanced MLPS VPN service which employs state-of-the-art fully meshed network, TrustCSI(TM) - an integrated suite of information security solutions, DataHouse(TM) - converged cloud solution and global unified management data center solutions, and SmartCLOUD(TM) - smarter, better and high performance cloud computing solutions which complement the company's managed network, managed security, and managed cloud data center solutions. As further testament to its commitment in providing premium quality services in the Asia Pacific region, the company became the first VPN service provider in Hong Kong to achieve all four ICT related certifications in ISO 9001 - Quality Management System, ISO 27001 - Information Security Management System, ISO 20000 - Information Technology Service Management System, and ISO 14001 - Environmental Management System. Learn more at www.citictel-cpc.com.